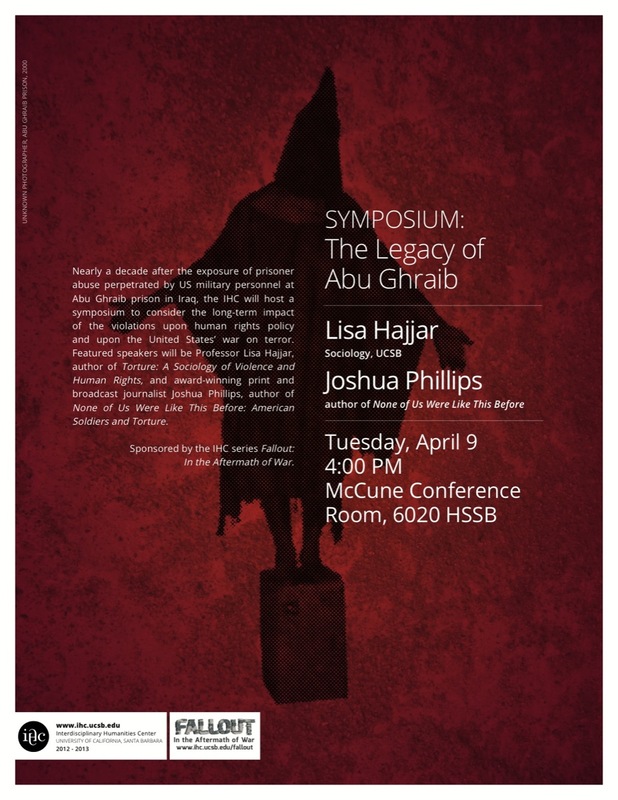 Nearly a decade after the exposure of prisoner abuse perpetrated by US military personnel at Abu Ghraib prison in Iraq, the IHC will host a symposium to consider the long-term impact of the violations upon human rights policy and upon the United States’ war on terror. Featured speakers will be Professor Lisa Hajjar, author of Torture: A Sociology of Violence and Human Rights, and award-winning print and broadcast journalist Joshua Phillips, author of None of Us Were Like This Before: American Soldiers and Torture. Sponsored by the IHC series Fallout: In the Aftermath of War. Click here to listen to a recording of Lisa Hajjar and Joshua Phillips’ symposium from the IHC’s Fallout series.